Rebuildable atomizer is the perfect box mod, that creates a lot of flavor and giant clouds. The Atty Cubed accommodates a large variety of build configurations; has a split positive center post and deck milled negatives. Accompanying these amazing features is a 6mm juice well, and German made PEEK insulators, which maximizes heat resistance to withstand the most strenuous builds. 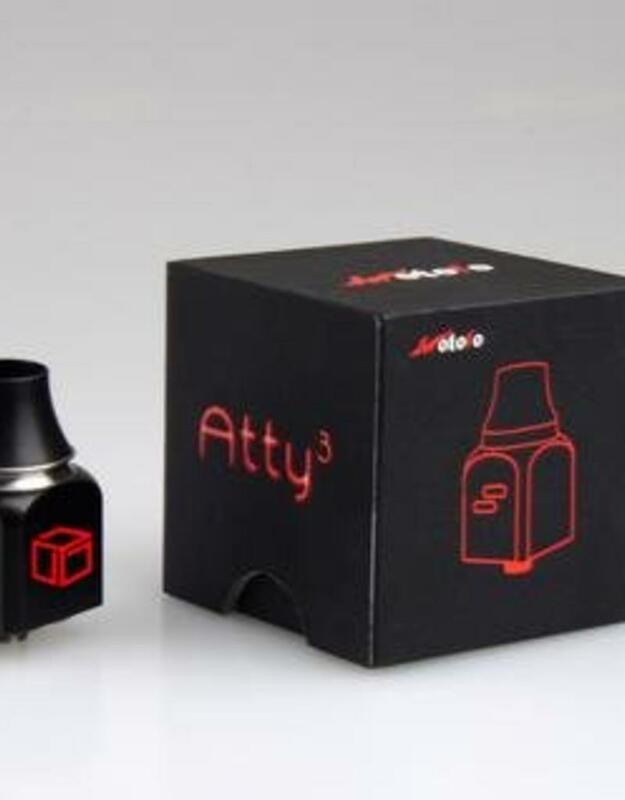 Atty 3 Cubed is manufactured out of 304 stainless steel.